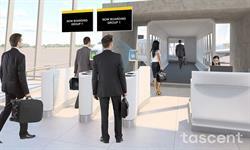 LOS GATOS, CA--(Marketwired - November 10, 2015) - Tascent, Inc., a biometrics and identity innovation company, today released the findings of its white paper, "A New Golden Age for Air Travel," which looks at several ways the implementation of biometrics technologies for air travelers will make flying an enjoyable experience again. 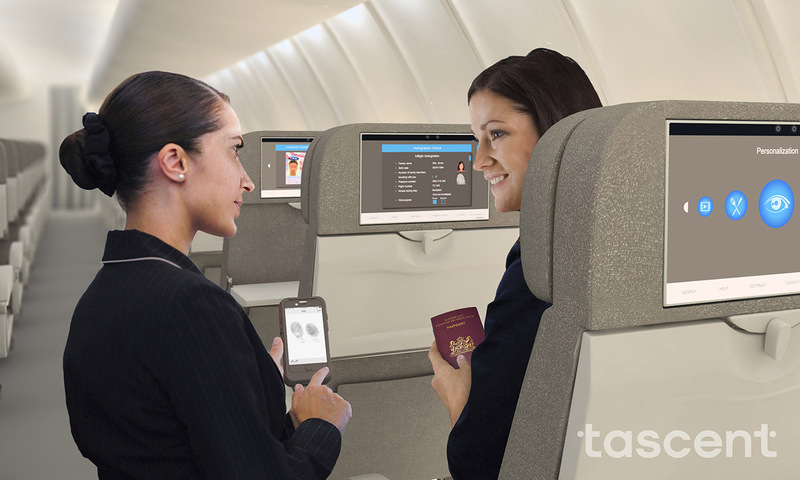 According to Tascent CEO Dean Senner, there is a substantial opportunity for the air travel industry to reconnect with customers: "For the 8 million travelers flying around the world every day, biometrics can help transform an often stressful and impersonal experience into something personal, efficient and memorable." 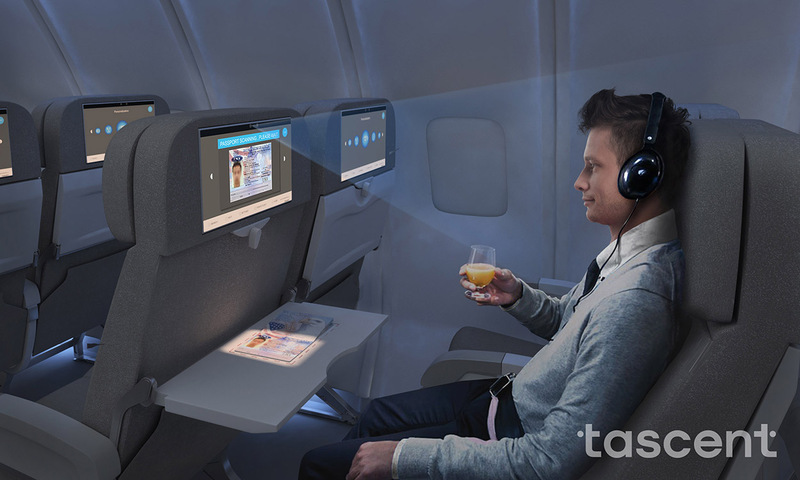 Senner highlighted an example of the added value airlines could provide to frequent travelers looking to unwind with in-flight entertainment. "In the near future, the technology will allow a person traveling from New York to California with a layover in Denver to watch part of a movie on the first leg of the trip, board the second plane, and with a quick biometric ID, begin watching the movie from the exact point where he or she left off." The white paper highlights several areas where airlines could add convenience and value to consumers in a way that builds airline brand loyalty and preference. Facilitating payments is a prime example, as airlines generate significant revenue from in-flight services including food and beverage, entertainment, Wi-Fi and duty-free sales. Today, travelers must pay with cash or credit card, and for many this involves standing up and hunting around in the overhead bin for a wallet or purse. Simplifying purchases by introducing biometric payment either with a seatback system or a mobile device operated by a crew member reduces purchasing friction and is likely to improve uptake of these services. "Air travel and connectivity are critical for global growth and development," said Geoffrey Lipman, President of the International Council of Tourism Partners (ICTP), director of greenearth.travel and head of The Sun Program. Lipman was the first president of the World Travel & Tourism Council and Assistant Secretary General of the UN World Tourism Organization. Lipman added, "As greater numbers of people move around the world, we need to find radical ways to increase their enjoyment, reduce their impact and speed them through controls, with simpler processes and better security. This study shows how that can be done more efficiently, using modern technology -- it holds great promise for the immediate future." Biometrics technologies continue to facilitate smoother travel in areas ranging from immigration and security to customer convenience and financial services. Leading biometric implementations are fast and intuitive and accurately confirm individual identity with ease while respecting consumers' privacy preferences. 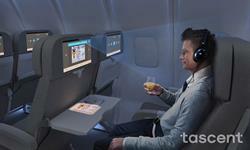 Senner added, "The prize of a new Golden Age of air travel is out there. It will be for the boldest airlines, airport operators, travel agencies, concierge services, hotel brands, and car rental companies to claim it." To view the white paper "A New Golden Age for Air Travel" in its entirety, visit www.tascent.com/resources. 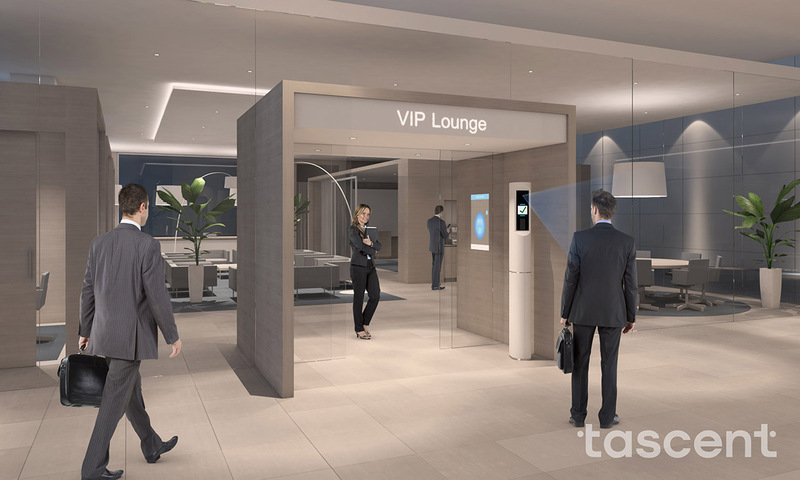 VIP travelers can be automatically recognized upon arrival at the lounge, streamlining access and enabling a personal welcome. Travelers can board the aircraft using automated biometric gates without having to show a boarding pass, decreasing queues and allowing airline staff to offer personal support to those who need it. Immigration agencies can enable in-flight advanced entry or exit processes using mobile biometric devices, making the most of free time during flight. Travelers can choose to utilize the in-flight entertainment system for biometric enrollment or streamlined identity services, including personalization, payments, or in-flight immigration processing.